L. David Marquet, a top graduate of the US Naval Academy, commanded the nuclear-powered, fast-attack submarine USS Santa Fe from 1999 to 2001, transforming it from the worst-performing submarine in its fleet to the best. 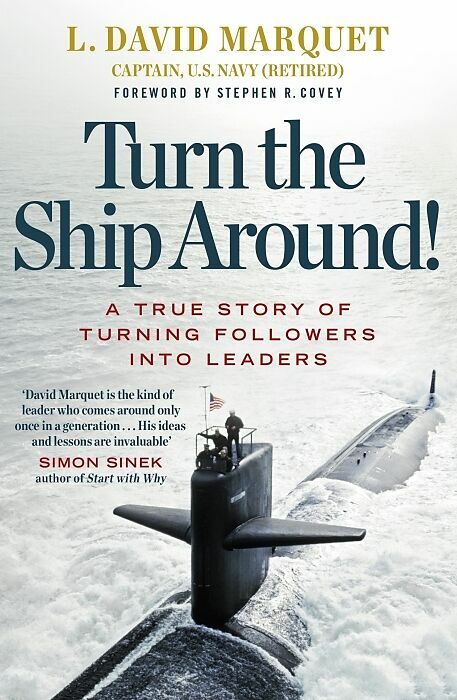 Since retiring from the navy, Marquet has worked with businesses nationwide as a leadership consultant. He gives presentations around the world about his acclaimed first book, Turn the Ship Around: A True Story of Turning Leaders into Followers. Titel: Turn The Ship Around!